The Carbon Icon is the next generation of R.A.K. equipped Carbon bows. The Carbon Icon features top-level technologies that our competitors wish they could offer at a price they could never match. With Bowtech’s revolutionary PowerShift technology and field proven Binary cams loaded onto a lightweight and durable carbon riser, the Carbon Icon delivers performance and power with every shot. 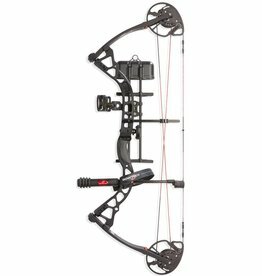 For bragging rights and big trophies, there’s no better bow than the Carbon Icon.